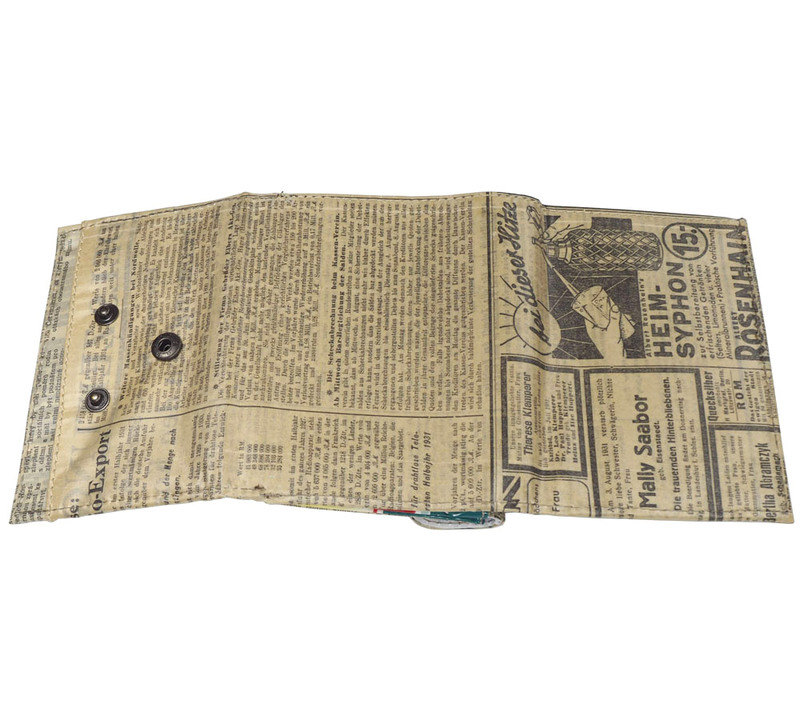 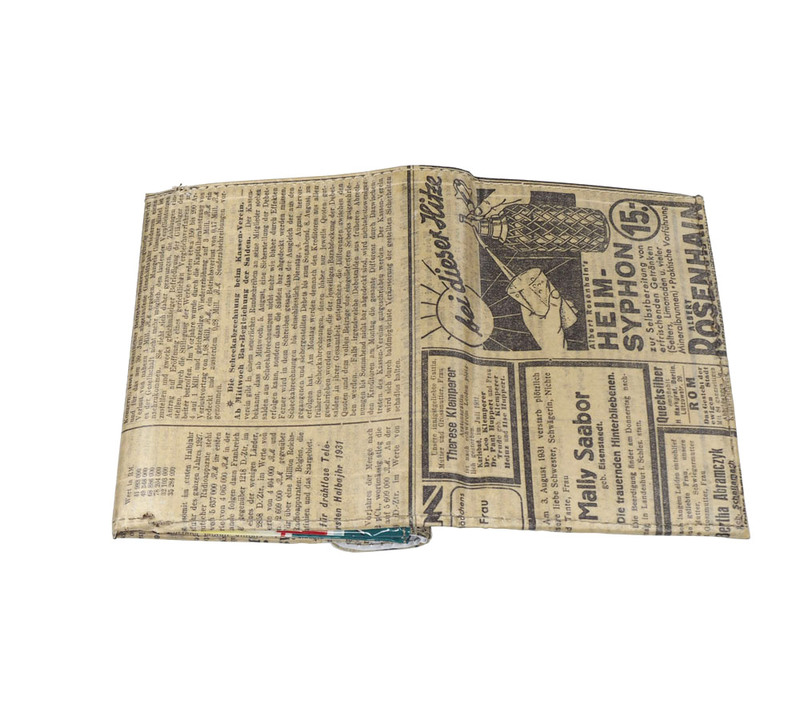 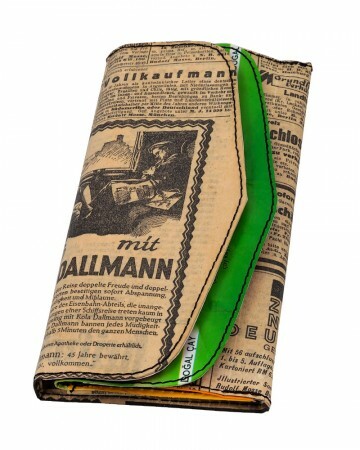 Heim-syphon Albert ROSENHAIN Berliner Tageblatt 1932 wallet made with 95% recycled materials. 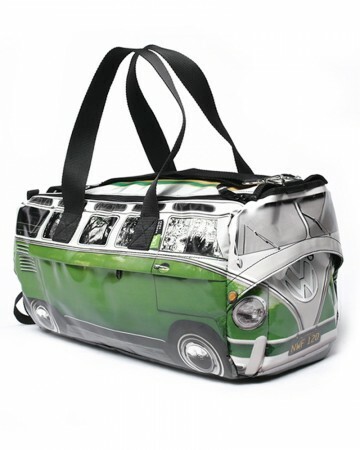 Inner: coffee package, detergent bag, old newspaper, billboard vinyl, Tetra pack milk/juice packaging. 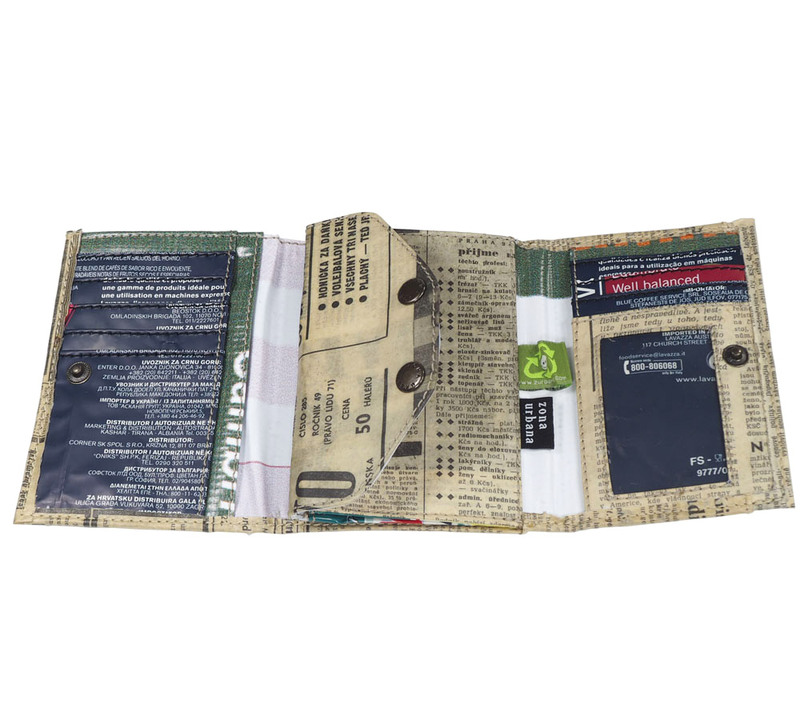 wallet containing:a secure big coin pocket with two snap puttons, eight credit card slots, a big accordion pocket, window ID pocket,one big note compartment, one secret pocket and two suitable for tickets notes, condoms:) etc.. 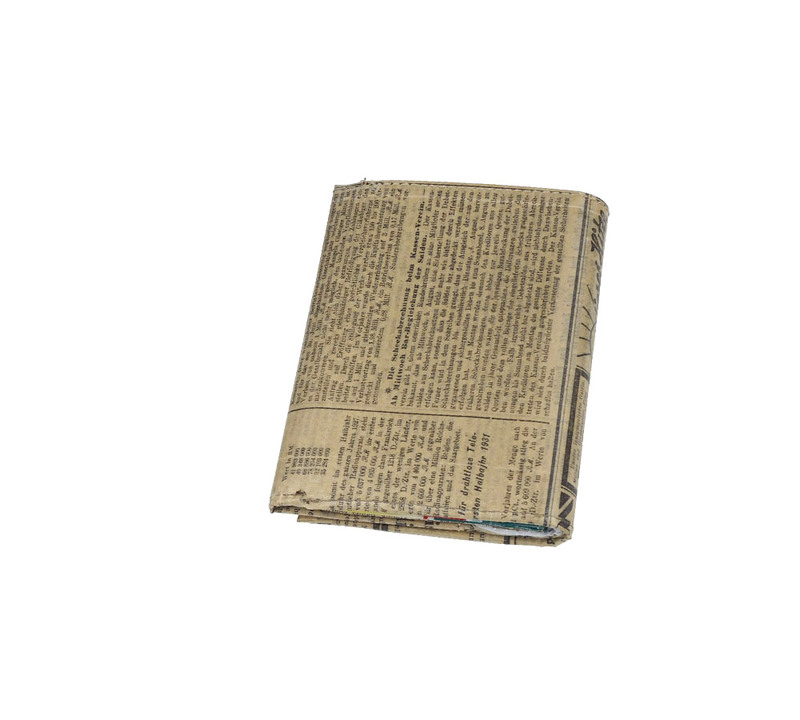 Size (cm): h-13.5. 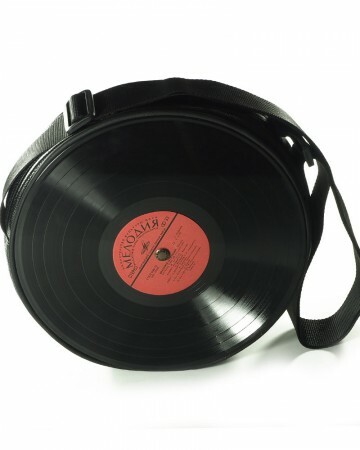 w-10,5. 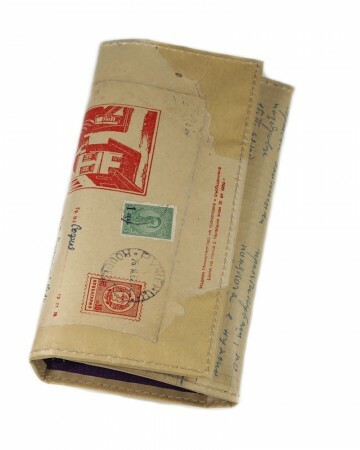 d-2,5.closed. 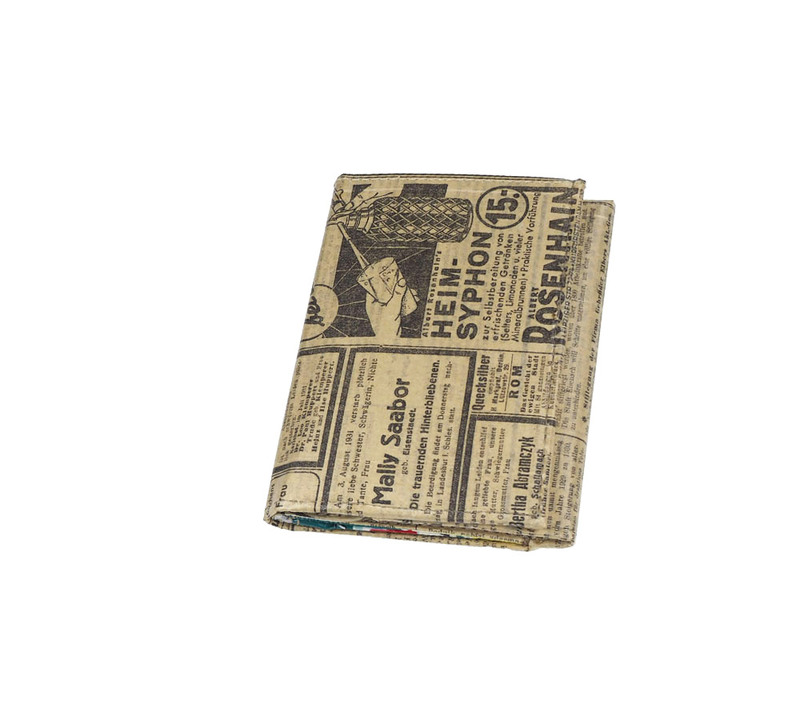 Trifold. 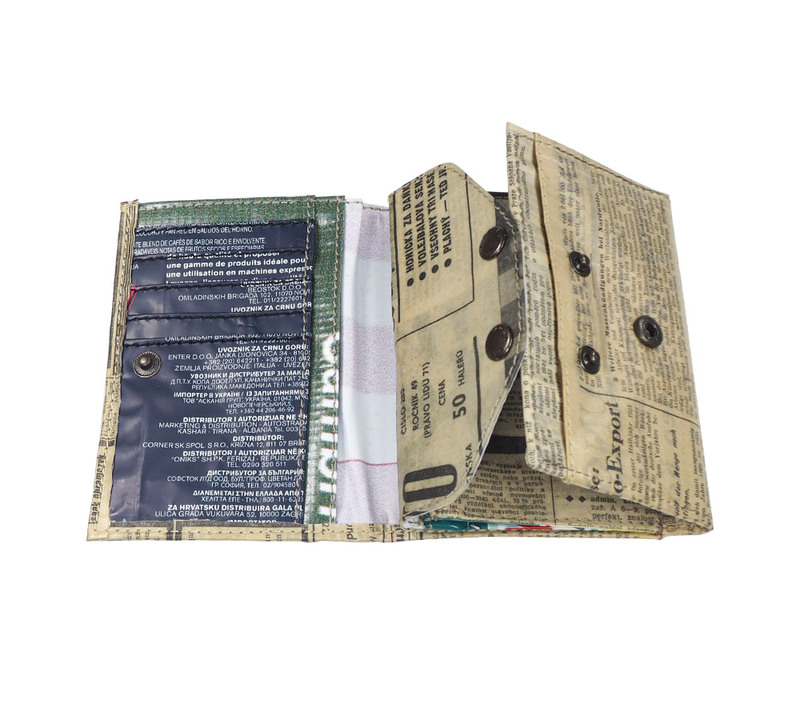 Categories: Recycled Wallets, 536 Berliner Wallets.